In the article titled Gospel in the Stars or Stars in the Gospel? 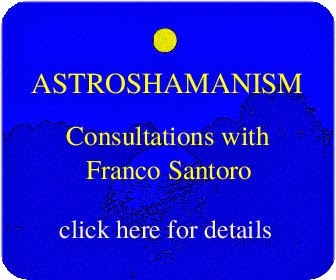 (click here) I referred to the intimate association between the Bible and astrology. I also mentioned the Gospel of Mark and its division in 12 sections, each corresponding to a zodiac sign, set in the natural order from Aries to Pisces. 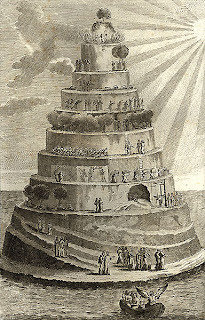 According to this structure, described in details by Bill Davison in The Gospel and the Zodiac, the part associated with the sign of Gemini goes from Mark 4:35 to 6:29. This Gemini portion of the Gospel of Mark begins with Jesus saying to his disciples: “Let us go over to the other side”, which right from the start exemplifies the acknowledgment of Gemini’s dualistic nature. Then the whole group get in a boat and start a short trip by sea. Castor and Pollux, the twin constellation of Gemini, as Darlison points out, is the patron of seafarers, and ships, for example the one used by Saint Paul, were often called after them. After a whole day of preaching and being with large crowds, when Jesus told his disciples to move on the other side of the Sea of Galilee, they were probably glad because they could finally relax and have Jesus all for themselves. 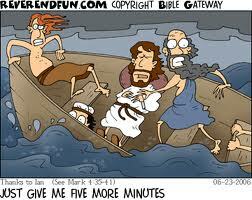 Then, suddenly, there was a furious storm, which the disciples tried to fight with all their fishermen skills. Yet, they had never encountered such a squall, and when the boat started to sink, they began to panic, yelling and crying. It was a scene of total chaos and disruption. And what about Jesus? What was he doing in the midst of all this? He was utterly at peace, quietly sleeping on a cushion. 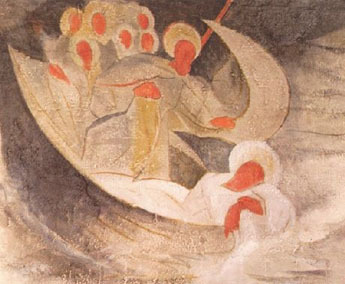 In total fright the disciples decided to wake him up, shouting: “Teacher, don't you care if we drown?” Jesus gently stood up, rebuked the wind and told the waves to belt up. At once everything calmed down. Then Jesus asked the open-mouthed disciples why they were making all that fuss about the storm. 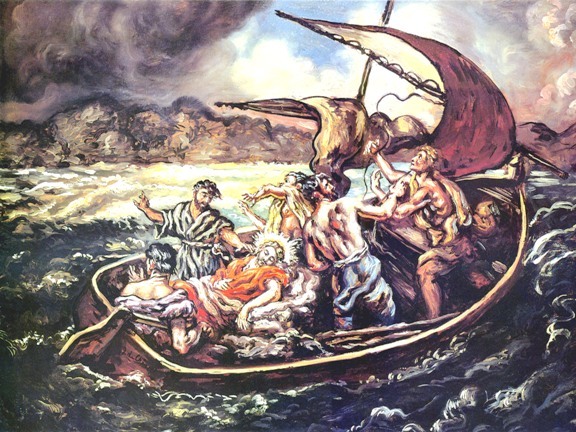 When I read the above story for the first time, I was startled by the tragicomic scene of Jesus having a nap in the midst of a noisy storm, with everybody around yelling and cursing. How could someone sleep in such turmoil? 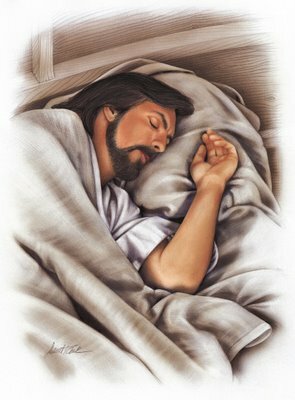 And why was Jesus sleeping? This intrigued me a lot. Later I perceived his attitude as a perfect illustration of our human identity and its separation from God and our true Self. In life we regularly get caught in a whirlpool of fears, worries and grievances, often screaming the hell out of them. While this happens our true Self lies sound asleep. Yet, once we finally decide to wake it up, this Self simply commands the chaos to “be still” and suddenly all madness vanishes like a nightmare. Fear, anxiety, worry and any type of suffering are always the unavoidable consequence of separation. We devise and employ many tools to deal with our problems, yet what we rarely do is to question the reality of the problems themselves, missing the opportunity to detect what is truly happening while we are absorbed in our nightmares. We need not fear the furious storm, because God is with us in all circumstances. Of course, most of us, do not believe this. How could we, when our true Self is obscured by thick layers of insanity and isolation, portraying the only reality we see? Well, perhaps the first step to access our inner Self is to draw its attention, to establish a direct communication and “awake” it. 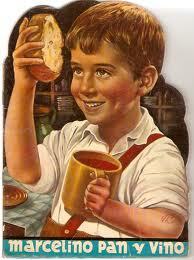 If the dream is the problem, there is no way I can find a cure unless I decide to call upon what is not in the dream. Instead of cursing and yelling at the characters and setting of my dreams, I can address who does not belong to the dream. As humans we are all in the same boat, and yet in this boat we can connect with Whom is at peace, resting in the boat. The question is “Where is Jesus resting in my boat?” Here it does not matter which way I choose to wake him up, whether through a tender whisper or by screaming the hell out of my lungs. What counts is to finally choose to communicate with him. Then, once I become aware of his presence, the second stage is to release my dreadful dreams, which will eventually lead to the third phase of waking up and resting in God. I would like to refer now to a series of synchronicities, which are a typical Gemini feature. Synchronicities are acknowledgments of conceptual relations between two or more causally unconnected experiences. This, as I see it, is one of the most favourite ways used by the Holy Spirit to communicate and teach us lessons. I often witness synchronicities during astroshamanic seminars, sessions and in my everyday life. They are powerful healing tools for they promote reconciliation of polarities, creation of links and expansion of our mental faculties, which are also major Gemini traits. Later, in the afternoon, I read an account of John Wesley’s crossing of the Atlantic, during which he found himself in the midst of a great storm. Everybody was panicking, including Wesley himself. The only exception was a group of members of the Moravian Church, who continued to quietly sing their hymns as if nothing was happening. 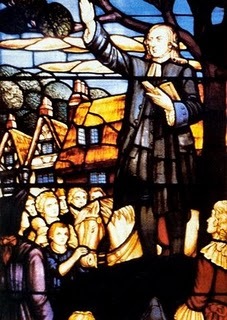 Wesley, who later became a leader of the Methodist movement, was deeply impressed by their calm and realised that this group had an inner trust still missing in his life. In the evening I watched Marcelino pan y vino (Marcelino Bread and Wine), a tender and luminous Spanish film, in which the final scene provides yet another most sublime representation of “resting in God” (by clicking here you can see the whole movie in Spanish with English subtitles). In a few hours I received the same message from unrelated sources and in different forms. Then at the end of the day, during my night prayer, after saying the final words “The Lord grant us a quiet night and a perfect end. Amen” I surrendered myself into the hands of God, enjoying a most peaceful and healing sleep, which was the experiential apex of the lessons I received through the day. As I write all this, I realise that perhaps the above is not really so impressive. After all, on that day I was basically on my own, interacting only with books and movies. There are surely much more spectacular synchronicities that I, as many of us, have experienced in life. Nothing glamorous or startling occurred on that occasion. I was just by myself, merely engaged with my thoughts. And still, I acknowledge that something powerful happened on that day, which stems from the realisation that it is also what continues to happen every day, if only I am willing to accept it. And what I do intend to accept here is the constant awareness of the presence of God through the ongoing tutorial companionship of the Holy Spirit. The Gemini section in the Gospel of Mark also contains the beheading of John the Baptist, the sending out of the Twelve, two by two, with the authority to drive out demons from sick people, and various healing events all closely related with the Gemini path of initiation. Although this portion of the Gospel is very short and fast to read, it contains abundant messages, which may require several volumes to unfold if the analytical spirit of Mercury took over. Yet, since here we are dealing with Gemini and not Virgo, I will not go into it. Among the stories in this part of the Gospel, I like to mention that of the woman with the blood flow, in Mark 5:21-32. While Jesus is followed by a large crowd, on his way to cure a twelve-year old girl, a woman who has been subject to vaginal bleeding for twelve years desperately tries to approach him. Here it is significant that this woman has been afflicted with this issue for twelve years, the number of the zodiac signs and the completion of the cycle. The woman has tried all kinds of cure to no avail. Besides having to put off with her illness, she is condemned and ostracised by the religious laws of those times, which consider her blood flow unclean. Yet, the woman has not given up, and when she hears about Jesus, she relentlessly crawls through the crowd until she manages to touch his cloak, and as a result she is healed. Everyone is touching Jesus, yet only that woman touches him in a special way. 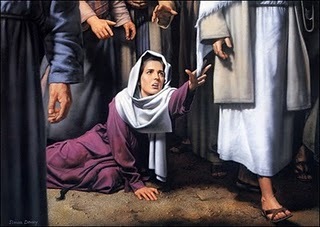 She uses her power to tap into Jesus, who then perceives power going out of him. Jesus is taken by surprise and doesn’t even see the woman. She takes the initiative, and it is her courage and faith that actually saves her. Shortly after reading the above story, I found a most unexpected reference in a Roberto Benigni’s recital on Dante’s Inferno (Canto V) broadcasted by Italian television. Benigni mentioned the woman with the blood flow while he talked about passion and love in connection with the story of Paolo and Francesca. Benigni comments as follows "This is a law, written in the firmament, that if you love someone or something, that love will be returned (...) what we love is our true inheritance (...) love is never wasted, that love will remain forever. Well, that’s enough for now. Take a nap. Stop worrying!